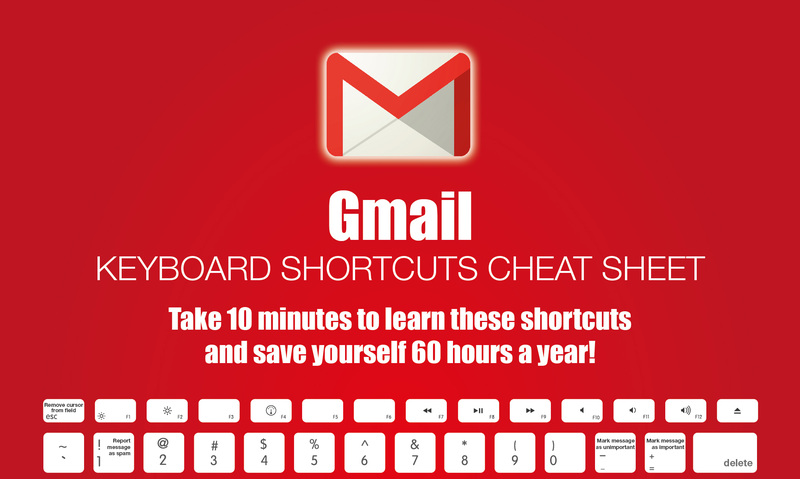 77 Keyboard Shortcuts For Gmail to Save Your Time! Gmail is the most popular, advanced, user-friendly and well-featured email server that is used by a huge amount of people. Luckily, Gmail also offers a series of keyboard Shortcuts for Gmail to move through the Gmail from the keyboard. By default the Gmail keyboard shortcuts are disabled. Before starting, make sure you have enabled the “Keyboard Shortcut” for your account. Go toSettings > General > KeyboardShortcuts and turn it on using the radio button. Don’t forget to save the changes before you leave the “Settings” page. Once done, you can check the Gmail shortcuts which are listed in this article. For instance, if you want to compose a mail, just press Shift + C from the keyboard when you’re in your Gmail account. It will open the composing interface as a pop-up window. There are so many Gmail keyboard shortcuts to ease your movement in Gmail. Here is the list. 4.0.1 How many of these shortcuts, You actually Knew? 4.0.2 How do you access your Gmail account – by mouse or by the Gmail keyboard shortcuts? To compose a mail press C. It will redirect you to the Gmail mail composer panel.If you want to compose a mail staying at where you are at present, pressShift + C. It will open a new pop-up window with the composing panel. Go to Inbox: Press g then i.Open starred conversations: Press g then s.Go to Drafts: Press g then d.Go to sent messages: Press g then t.Go to all emails: Press g then a. Go to Contacts: Tap g then c.Select all the contacts: Tap * then a.Deselect all the contacts: Tap * then n.Delete contact: Tap #. Go to next contact: Press k.Go to the previous contact: Press j.Select or deselect an individual contact: Press x.Open a contact: Press O or <Enter>.Return to contact list: Press u. Search: Pressing “/” will take you to the Gmail search box and the cursor will blink there.To focus chat contact search press q.The ? will open the help window in Gmail. Escape from the input field: Press Esc.More actions menu: Press “.” (Full-stop).Move from the current group: Press e.Undo the recently completed action: Press z.Change group membership: Press l.
There are more Keyboard Shortcuts for Gmail by which you can completely control the Gmail in your web browser just from the keyboard. Refer to the following lists. and enable the lab feature “Custom keyboard shortcut” from the list and save the changes by clicking the proper button. This will add an additional “Keyboard shortcuts” tab. You can only change the shortcuts assigned under “Action” list. Head to the “Keyboard Shortcut” tab which opens the “Current keyboard shortcut mapping” window. Put your preferred key(s) at the white boxes and save the changes – you’re done! How many of these shortcuts, You actually Knew? How do you access your Gmail account – by mouse or by the Gmail keyboard shortcuts?